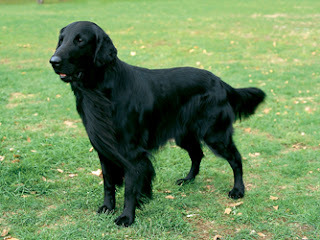 The Flat Coated Retriever was developed, in United Kingdom by crossing several breeds of dogs, which included Irish setter, Labrador, Water Dog and St. John’s Newfoundland, it was developed as a retriever on both land and water. This breed excels in hunting, tracking, guarding, and obedience. If it is trained well, then it can do excellent in many sports and also be a very affectionate family companion.